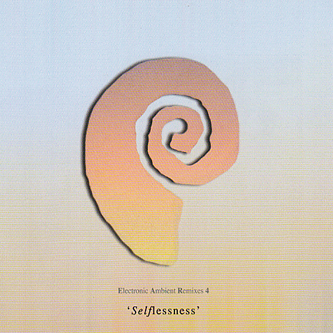 First released in 2004, Electronic Ambient Remixes Four: Selflessness was based upon a Cosey Fanni Tutti sound piece recorded for Resonance FM in 2003. This broadcast drew from Cosey's "live art action" at Disneyland California the previous year and uses the ambient sound recordings from the event as its founding building blocks. The album's aim is said to be "to evoke in the listener the sensations of disorientation, loss of any sense of time and the displaced significance of ambient sounds that Cosey experienced during the action at Disneyland." Quite what that action might have involved remains unclear from these deeply enigmatic recordings, but of all the installments of the EAR series this lengthy four-part album might be the most instantly immersive.